As the opioid epidemic continues to spread, legislators are scrambling to respond by limiting the availability of potentially addictive medications. In March of 2016, the CDC released new prescription guidelines for opioids. These guidelines suggested that doctors should make an effort to prescribe non-opioid painkillers. 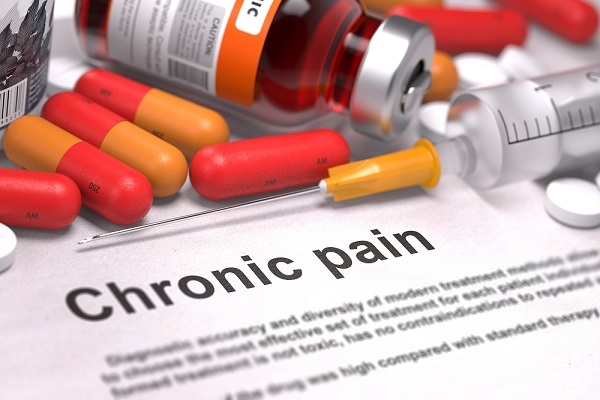 The CDC recognized, however, that some chronic pain patients might require opioid medications. In such cases, the 2016 prescribing guidelines ask physicians to limit the dosage of these drugs. The guidelines were meant to help those struggling with substance use disorders, but chronic pain patients felt marginalized and ignored. In October, chronic pain patients spoke out against the CDC’s guidelines at the Rally Against Pain. This rally, held outside of the White House on October 22, sought to draw attention to the plight of chronic pain sufferers. The Rally Against Pain received no backing from the American Chronic Pain Association or the US Pain Foundation. Nonetheless, volunteers from all over the nation gathered together to organize and take part in this event. In doing so, they raised a valid question. How can we fight prescription drug addiction without hurting those who truly rely on their prescriptions? Most people only consider the opioid epidemic from the viewpoint of addicts and their families. Now, the war on addiction appears to have thrown another innocent group of people into the crossfire. This complicates an already troublesome search for solutions to the growing rates of heroin and opioid overdoses spreading throughout New England and elsewhere. Further complicating the matter is that not everyone agrees with the complaints lodged by chronic pain sufferers. In order to seek a fair and balanced solution, we must understand both sides of the argument. Chronic pain patients take issue with the fact that their fate rests largely in the hands of people who don’t know the difficulties of living with their condition. Furthermore, those who only take their medications as prescribed see no reason for scaling back their dosage. As Kirby notes, this does not mean that chronic pain patients hold no sympathy for substance users. Many understand and acknowledge the notion of addiction as a disease. What they do not understand is why another person’s disease should affect their own health care. In fact, some now question whether the 25% reduction in opioid manufacture or the limiting of prescriptions will even help alleviate the epidemic. According to surveys by the Substance Abuse and Mental Health Services Administration, only 12.8% of those prescribed opioids in 2015 abused their medications. This is out of a sample size of 97.5 million patients. These surveys also suggest that less than half of all opioid addicts acquire their drugs from a prescription. Meanwhile, black market opiate distributors continue to peddle hundreds of millions of pills nationwide. Asking countless patients to live with chronic pain does nothing to stem this issue. But patients with opioid prescriptions aren’t just worried about pain management. Many chronic pain patients also fear for their quality of life. Chronic pain sufferer and recovering alcoholic Cindy Laux, speaking to The Fix, notes a drop in her activity levels since her doctor scaled back her dosage. Now unable to go hiking or attend AA meetings, she finds herself struggling with depression. She says this hurts not only her, but those who care about her as well. If addicts and chronic pain patients have anything in common, it’s the torment our families experience while watching us suffer. While Johnson’s offense is understandable, this type of language meets resistance by the recovery community. According to most demographics and statistics, the stigma of addicts as unemployed street-dwellers bears little truth. Those who read statements such as that above see chronic pain patients as people asking for their needs to be met while disrespecting the needs of others. Chronic pain patients, meanwhile, feel the same way when the CDC appears to ignore their needs in its prescription guidelines. The result is that two groups of people with major health care concerns see themselves as opposing forces. This type of enmity fails to serve the interests of either group. Another problem, made quite apparent in Kolodny’s words, stems from a lack of trust. Studies indicate that most chronic pain patients use their medications responsibly. Nonetheless, people hear patients fighting for opioids and instantly assume them to harbor dishonest intentions. One would not expect a doctor to lower their patient’s dosage arbitrarily. At the same time, only the patient knows the extent of their pain. When they assert their need for higher doses, they might be addicts attempting to acquire more drugs. But in the case of legitimate chronic pain patients, this assumption does more harm than good. This dilemma requires a balanced solution, meeting the needs of both addicts and chronic pain patients. Otherwise, at least one group—if not both—will continue to suffer. Further testing will go a long way toward understanding the problem, but we still need preventative solutions. When contemplating solutions to the opioid epidemic, we often bring up the notion of a national prescription database. Keeping track of prescriptions could potentially prevent addicts from doctor shopping without adversely affecting chronic pain patients. As long as they truly use their medications responsibly, chronic pain sufferers lose nothing from this solution. It treats all patients fairly, while preventing those with substance abuse disorders from acquiring a surplus of pills. We might also consider administering CYP450 tests to patients seeking opioid prescriptions. Cytochrome P450 enzymes inform our body’s drug metabolism. 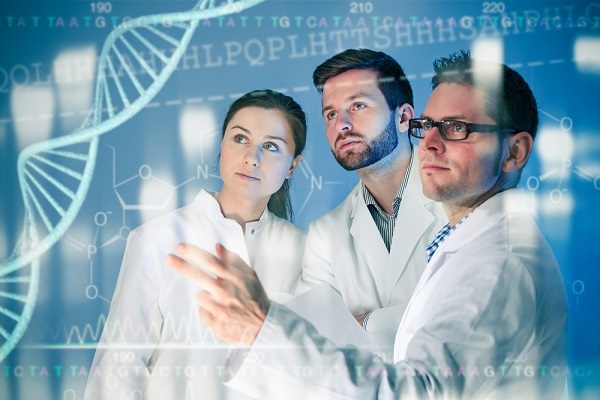 Through CYP450 genotyping, doctors can determine more easily whether patients will benefit from taking various medications. Some chronic pain patients simply do not take well to opioids. Perhaps the drugs simply do not work for them. Some patients find that their tolerance raises too quickly, eventually requiring higher doses than normally recommended in order for them to experience any pain relief at all. Genotyping can prevent these types of complications, ensuring that the only chronic pain patients who receive opioids are those who will truly benefit from their use. Prescription opioids only form a small part of the growing opioid problem in America. The DEA and other organizations must still focus on fighting the illegal drug trade. As of now, Donald Trump’s addiction plan intends to do this by closing shipping loopholes that allow heroin to enter the country through our mail. But even this may not be enough to squash the opioid epidemic. In the meantime, we can still focus on finding ways to fight prescription opioid abuse without denying chronic pain patients the medication they need. We simply cannot ostracize one group for the sake of another. Everyone deserves equal rights to health care. By working to develop a fair and balanced solution to drug addiction, we can ensure this right to all opioid users—addict or otherwise.